Our garden room has a queen bed and small sitting area overlooking the back gardens. This room provides enough space to stretch out after a day of exploring. 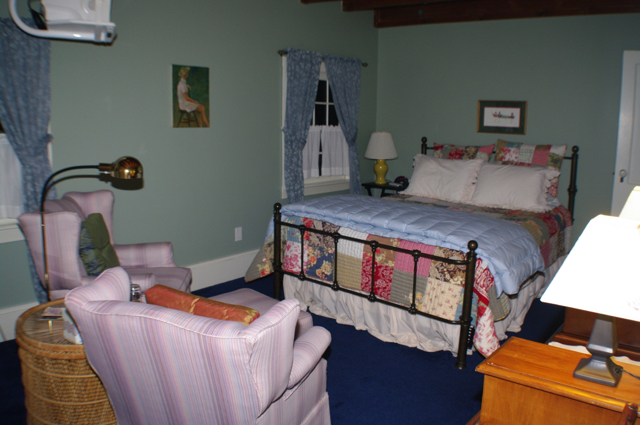 This room has cable television, free WiFi Internet access, and shares a full bathroom with the Barrister room.